Unlike many thickly cut Crisps, these managed to tread the fine line between a biscuit like Crunch and Regular Crisps crash and mash. They broke down at a reasonably even pace before turning mulchy mush at the end. 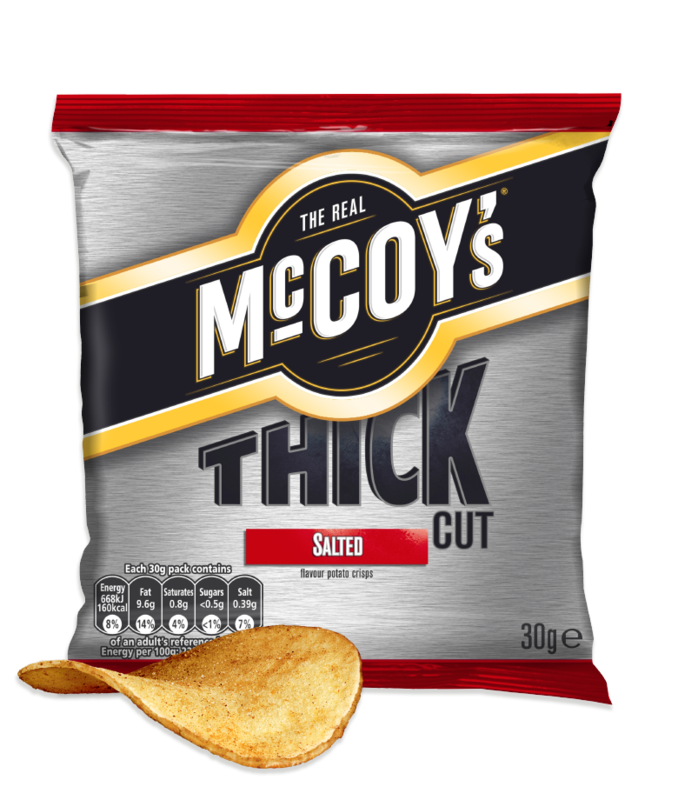 Fairly flat shaped Crisps because they were so thickly cut. Slices rather than Crisps. There was a muted darkish yellow with some skin on edges a the odd brown streak of potato age, but overall, not really very much going on. We are not great advocates of Regular/Plain/Ready Salted Crisps at Chips and Crisps. We prefer a bit of flavour. As it was, these featured a mild Salt addition to thickly cut potato slices.